Something is working to at least slow the violence in Chicago down. It also will never be covered by most of the MSM because it is. The Chicago-based program Becoming A Man is the type that allows rival gang members to sit together, just days after one group killed a member of the other, and calmly talk about their issues, according to John Wolf, senior manager of the University of Chicago’s Crime Lab. 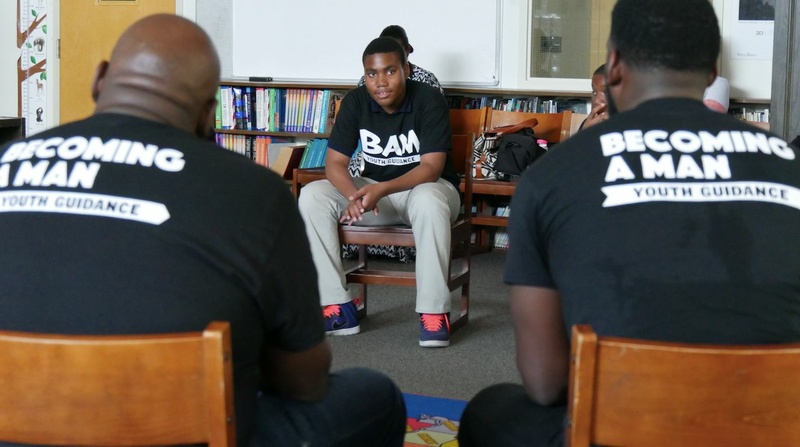 By teaching these adolescent males how to slow down their decision-making processes and avoid knee-jerk reactions, the program aims to improve students’ abilities to make appropriate judgments in high-stakes situations. This one truly stretches all credulity. A man, arrested for a minor infraction – searched twice by two separate officers, shot himself in the chest, while sitting handcuffed with his hands behind him in the back of a Police Car. 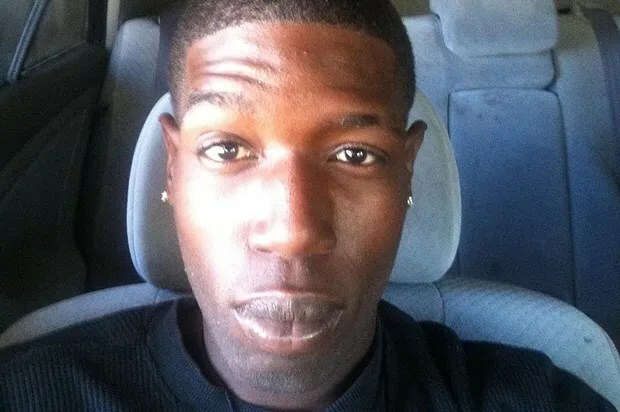 But according to the full final report of the Iberia Parish coroner, which was released nearly six months later and obtained exclusively by NBC News, White was shot in the front, not the back. The bullet entered his right chest and exited under his left armpit. White was left-handed, according to family members. According to the report, the forensic pathologist found gunshot residue in the wound, but not the sort of stippling that a close-range shot can sometimes produce. He also found abrasions on White’s face. And yet, despite the contradictions – and even though White’s hands were never tested for gunpowder residue – the Iberia Parish coroner still supported the central contention of the initial police statement issued back in March. Dr. Carl Ditch ruled that White shot himself, and declared his death a suicide. It’s been 541 days since Victor White, a 22-year old black man from New Iberia, LA, was shot dead while handcuffed in the back of a state police cruiser. It’s been 358 days since the U.S. Attorney’s Office in Lafayette, LA launched its investigation into Mr. White’s death. And we’ve yet to hear an account of what happened to him. No one, it seems, can explain why this young man died with a hole in his chest. The circumstances surrounding White’s death are beyond suspicious. What little we do know raises more questions than answers. On March 2, 2014, White and a friend, Isaiah Lewis, walked to a local convenience store, where they purchased cigars. A fight erupted outside between two unidentified men. When the brawl ended, White and Lewis left on foot and were stopped by Corp. Justin Ortis of the Iberia Parish Sheriff’s Office. After discovering a negligible amount of marijuana in White’s pocket, the officer detained him and called for backup. White was handcuffed with his arms behind him and placed in the back seat of the cruiser. What’s crucial to note is that before being detained, White was searched a second time for contraband and weapons – and no weapons were found. When the second officer arrived at the scene, White was transported to the local station for further questioning. What happened after that remains a mystery. What we know is that White never saw the inside of that patrol station. He died of a gunshot wound while detained in the squad car. According to the Sheriff’s Office, White became agitated and refused to leave the vehicle. If you believe the original police statement (and you shouldn’t), White then produced a handgun (while handcuffed) and managed to shoot himself in the back before the deputy could find help. Everything about this case invites skepticism. The details don’t add up. Local officials are refusing to comment further, hiding behind a pending federal probe, the progress of which remains unclear. This is a disgrace. 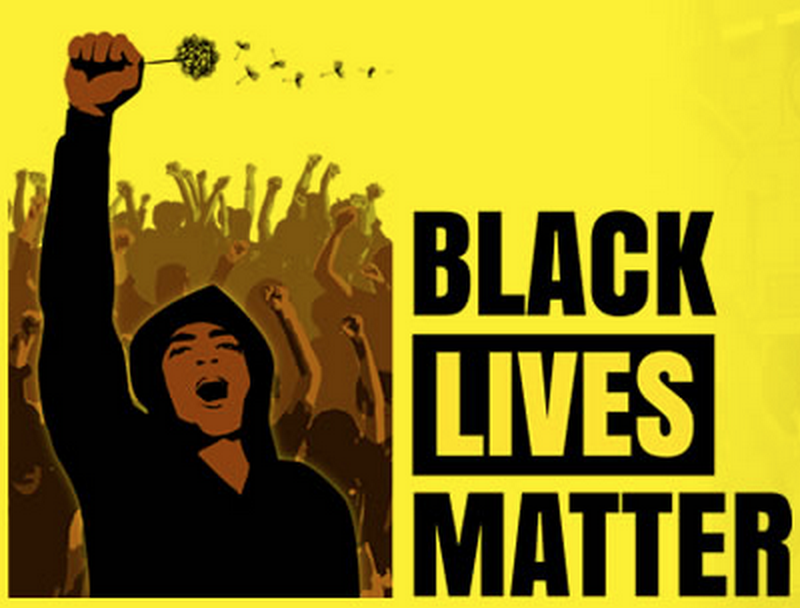 What happened to Victor White in New Iberia is every bit as egregious as what happened to Freddie Gray in Baltimore or to Michael Brown in Ferguson or to Sandra Bland in Texas or to Samuel Dubose in Cincinnati or to Eric Garner in New York.